Amid dueling by the government and the opposition over the Balakot questions, the families of the two soldiers have supported calls for "decisive proof" of the strike impact. 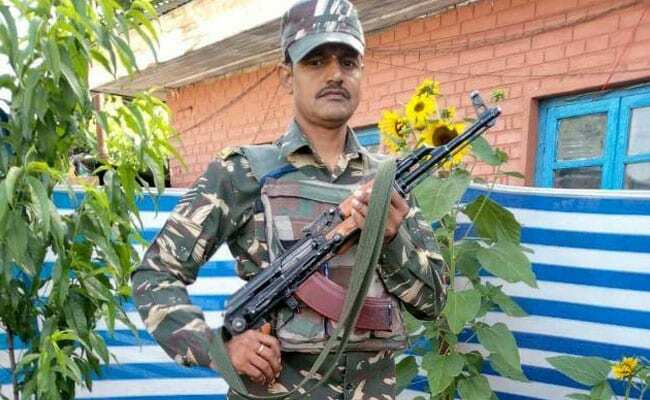 Pradeep Kumar from Shamli and Ram Vakeel from Mainpuri died along with 38 other soldiers as a suicide bomber of the Pakistan-based terror group Jaish-e-Mohammed exploded a car full of bombs near a Central Reserve Police Force (CRPF) convoy in Pulwama on February 14. India sent fighter planes into Pakistan for the first time in nearly 50 years to bomb a terror training camp of the Jaish-e-Mohammed on February 26. The government had said the strike was a success and a "very large number" of terrorists were killed. But reports in the international media have been skeptical about the death count. "Like in our case (Pulwama) we saw someone 's hands, someone's limbs, we need to see something from the other side. Someone took responsibility for the bomb attack almost immediately. I am sure the strikes have happened but where have they done it? There should be clear proof. Until there is proof, how can we accept it? Pakistan says there is no damage to them so how can we accept it unless there is proof," questioned Ram Raksha, the sister of Ram Vakeel. In Shamli, the mother of Pradeep Kumar also echoed the call for proof. "We are not satisfied. So many sons died. We saw no one dead. There are no dead bodies on the other side. In fact, there was no confirmed news. We need to see this on TV. And we need to be told at our homes. We need to see the dead bodies of the terrorists," said Sulelata, in her 80s. On Tuesday, Home Minister Rajnath Singh appeared to validate the unofficial figure of "300" while countering the Congress. That too, after his colleague, Defence Minister Nirmala Sitharaman remained silent on the casualty. "The NTRO (National Technical Research Organisation), which has an authentic system, said that 300 mobile phones were active... Were these mobile phones used by the trees? Now will you not believe the NTRO also?" the Home Minister said after inaugurating a surveillance system of the Border Security Force in Assam.